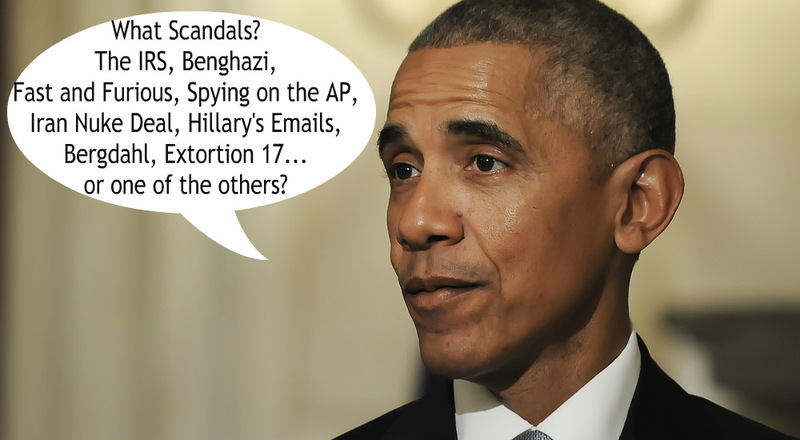 Obama Crony Claims “No Scandals” in Obama Era! Most of the members of the Obama administration have been unmasked as inveterate liars over the years, perhaps none more disgusting than Obama’s right hand, Valerie Jarrett. She has long sided with our enemies in the Muslim world against our Western allies, and there is little doubt that she is the true power behind Obama’s constant overstepping of his constitutional bounds. Jarrett recently appeared on CNN with another liar, the serial plagiarist Fareed Zakaria (see here, here, here, here and here), to discuss the Obama administrations legacy. Jarrett astounded millions when, with a straight face, she claimed that there had been NO scandals during the Obama era! Fareed Zakaria: He’s also played the role of head of state and president and Michelle has as first lady with a great deal of dignity. Is there a conscious effort to do that because it is the first African-American couple in the White House? Do they think in those kinds of historic terms about their role? Valerie Jarrett: I think they behave in a dignified way because they’re dignified. I think part of the magic for why they’re so appealing is that they are who they are. Early on, we’d have meetings and people would say to me, well, what did he really think? And I’d say, what did he say? And they’d say what he said. I said well, he kind of is what he is and that is the same for both of them. So I think that they behave as the people who they are, what you see in public is the same thing I see in private. Do they feel responsibility because they’re historic figures? Yes, they do. But I don’t think that it has made them be different than who they are. The president prides himself on the fact that his administration hasn’t had a scandal and that he hasn’t done something to embarrass himself. But that’s not because he’s being someone other than who he is. That’s because that’s who he is, that’s who they are, and I think that’s what really resonates with the American people. The level of disillusionment that Obama’s lackeys must live under is astounding. Either these people are completely blind to the devastation surrounding them, or they are the world’s most practiced and professional liars. Just in case you’ve forgotten here are 25 scandals involving the Obama administration.